The NTSB said Metro's deadly 2015 smoke incident was probably caused by "a prolonged short circuit that consumed power system components." On Jan. 12, 2015, many riders, including Carol Glover, 61, were stranded when their Yellow Line train stopped in the tunnel. Glover died. The NTSB also found that Metro routinely used trains filled with passengers to look for sources of smoke -- a claim Metro is disputing. The Washington, D.C. Metro often used trains filled with passengers to look for sources of smoke or fire, according to a revelation at a federal safety hearing Tuesday on a 2015 incident that killed an Alexandria woman. It's a claim that Metro is now disputing — but earlier Tuesday, Metro General Manager Paul Wiedefeld said the practice is no longer in place. Wiedefeld said he didn't know whether such an action was performed Jan. 12, 2015, the day that 61-year-old Carol Glover died and scores of others were sickened when smoke filled a Metro tunnel and trains near L'Enfant Plaza. Wiedefeld said trains with passengers aboard are no longer sent to check out smoke or fire, but an empty train may be sent. Wiedefeld, who took over Metro in November, said he didn't know when the practice had changed. Later, Metro disputed the finding from the National Transportation Safety Board. But the NTSB said it was a common practice at Metro — an action the agency called "reprehensible." ...to investigate reports of fire or smoke instead of stopping all trains and using a qualified person to follow up on a report." "[The] investigation found that it was common practice to use trains with passengers to investigate reports of fire or smoke instead of stopping all trains and using a qualified person to follow up on a report," the NTSB said during Tuesday's hearing. A Metro source said the Rail Operations Control Center (ROCC) tells the train operator to perform a "track inspection," usually with passengers on board. With that process, if the train happens to come across a fire, or other hazard in the tunnel, it's too late to perform a reverse. On Jan. 12, 2015, an electrical malfunction caused a Metro tunnel to fill with thick, black smoke and stranded many riders, including Glover, when their Yellow Line train stopped in the tunnel. Glover died of acute respiratory failure due to smoke exposure. During Tuesday's hearing, the NTSB also released the probable cause of the deadly incident: "a prolonged short circuit that consumed power system components resulting from the Washington Metropolitan Area Transit Authority's (WMATA) ineffective inspection and maintenance practices." The hearing comes with a familiar line from the NTSB: that safety is not a big enough priority at Metro. Transportation Reporter Adam Tuss has a preview of what the agency plans to say in a hearing tomorrow. The NTSB said Tuesday that whatever could have gone wrong that afternoon did go wrong. If Metro had followed the proper procedures to stop all trains at the first report of smoke, the NTSB said, the train never would have gotten stuck in the tunnel. Instead, 15 minutes elapsed from time that Metro initially reported smoke until the time a call for emergency assistance was made. As time went on, power failed. The NTSB said Tuesday the problems that led to the deadly incident were caused by senior management's failure to proactively deal with "foreseeable safety risks," as well as the "inadequate oversight" of the Tri-State Oversight Committee and the Federal Transit Administration. The NTSB said a strong oversight group is needed to force Metro to make safety its top priority. NTSB Chairman Christopher A. Hart said Metro focuses on safety after an incident, but then takes its eye off the ball. Hart has confidence in the new leadership at Metro, he said Tuesday. 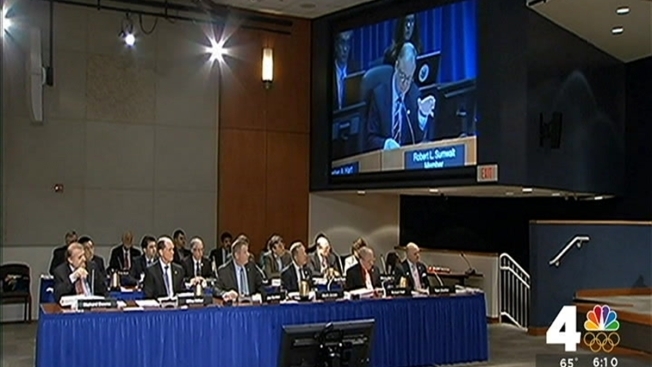 During the hours-long hearing, the NTSB issued a list of 43 findings that it says led to the the deadly L'Enfant Plaza incident — including improperly secured and covered power cables, water problems, poor training and lack of procedures and proper maintenance. The NTSB said both the tunnel fans during the L'Enfant incident were in "pull" mode, therefore drawing smoke toward the station and over the train. The NTSB also found fault with the distance between smoke detectors during the L'Enfant incident: 2,000 feet, or more than half a football field. Metro needs more smoke detectors, the NTSB said. Glover's family has filed a $50 million lawsuit against Metro, accusing the transit agency of negligence. 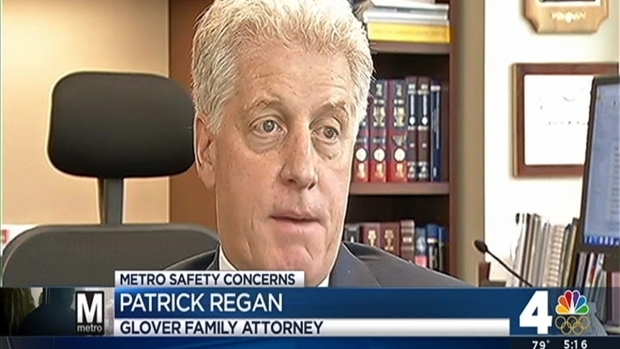 Patrick Regan, an attorney representing Glover's family, said in everything he's studied about the accident, Metro simply wasn't taking care of its system. "That's absolutely at the top of the list to see just what preventive maintenance they've been doing," Regan said. "Apparently from what we've been told by our experts, they were just ignoring it. They weren't doing any preventative maintenance." "Carol was the heart of that whole entire family," Regan said. "She was a mother, a daughter, a grandmother and a sibling." The lawsuit in federal court was unable to move forward until a cause of the incident was determined, which the NTSB released during Tuesday's hearing. This is the 13th NTSB investigation of a safety incident on Metro and the ninth since 2004.